During the Koto period, before the development of katanas, the samurai class of feudal Japan carried tachi swords and, now, our master swordsmiths of Lonquan use centuries of tradition and experience to hand-forge our Shinwa Tachi Swords to be second to no others! Tachis were designed to be worn with the cutting edge down so they were usually designed with a koshiate (sword hanger). 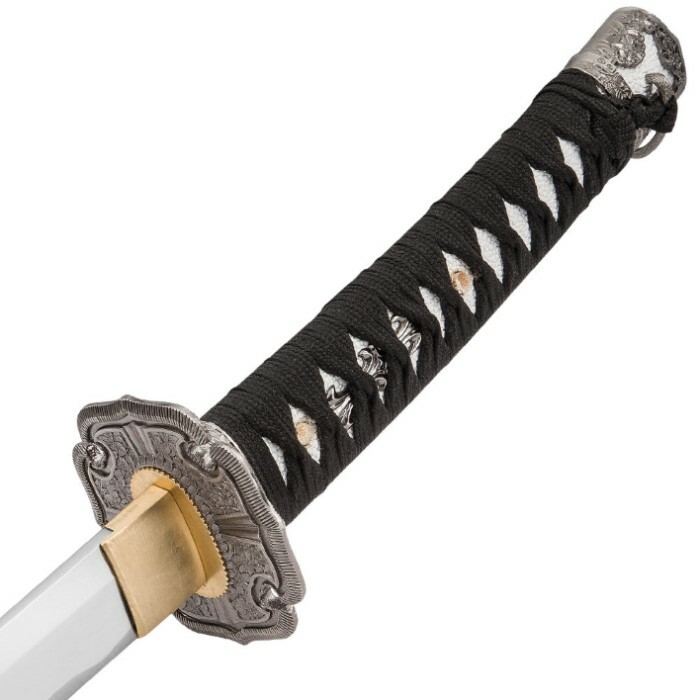 True to tradition, our Shinwa Midnight Samurai Tachi Sword has a black lacquered sheath with an intricately wrapped koshiate. 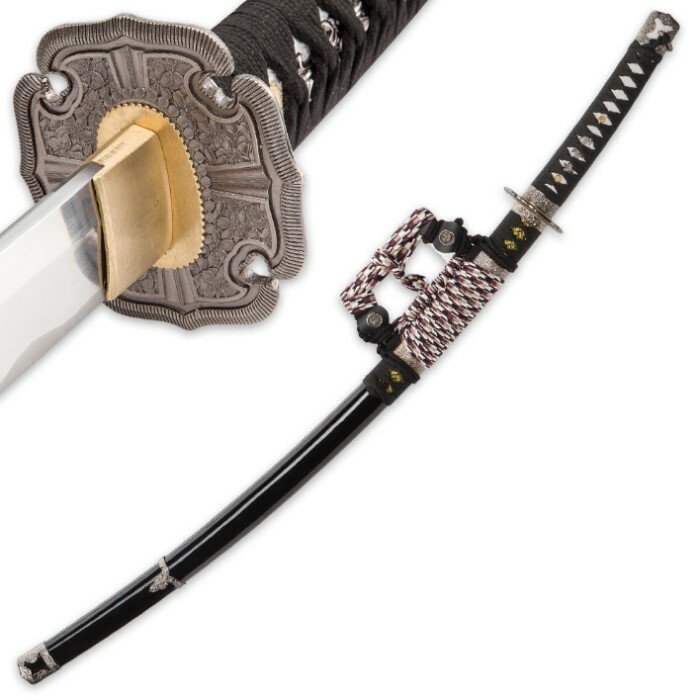 The decorative metal alloy tsuba has the appearance of pewter, which is an elegant contrast to the brass habaki that leads into the 28 1/2” hand-forged 1045 high carbon steel blade. The wooden handle is traditionally wrapped in black cord and faux rayskin and has an ornate pommel. 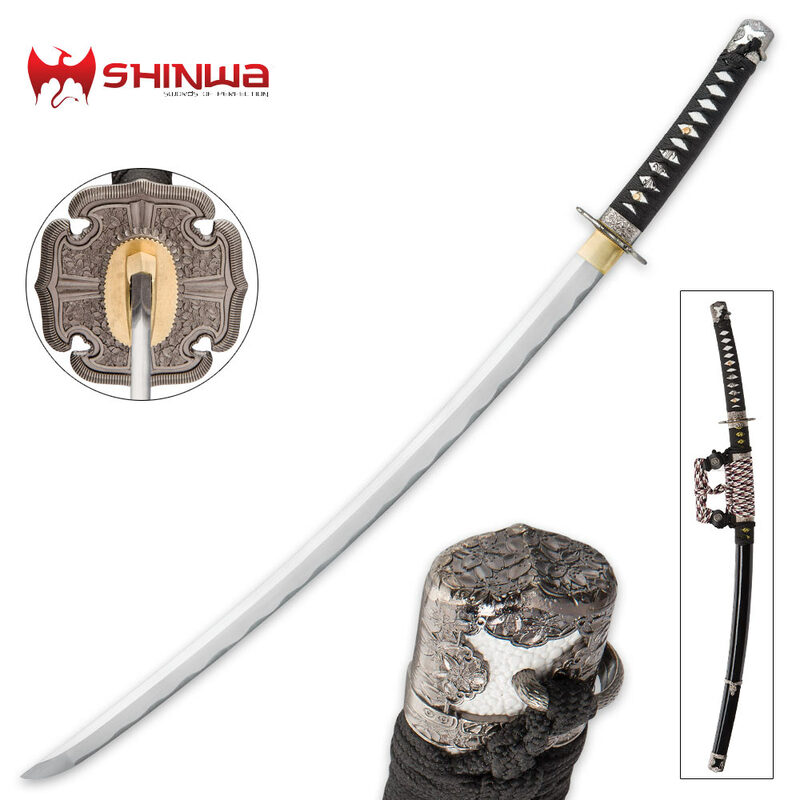 The sheath has pewter-colored, metal alloy decorative accents, which complement both the design of the tsuba and the pommel.